There many ways to source SEO data, some more reliable than others, the web is filled with fancy tools that can cost you a fortune and is geared more to big businesses needs. In the SME and start-up, world reporting and data analysis are important but not important enough to incur costs, keeping operating costs low is key and if we can live without it, we will. This doesn't mean reporting has to be neglected altogether, not when Google provides some amazing free tools that give us insight into SEO and your sites organic performance. Search Console (formally known as webmaster tools) is a free tool provided by Google to allow site owners to manage their site and source data. However, trying to extract and display data in a meaningful form for reporting and analysis is an arduous process and can lead to inconsistencies as webmasters only house 3 months worth of data at any given time. Protip! To catalogue all your search console data, I recommend connecting your search console to feed into your Google analytics. The data from Search Console is extremely powerful but currently, lives in Search Console’s Search Analytics Report and is hard to combine with other data sources and building custom dashboards using Google Sheets or Excel is extremely time-consuming. However, we bring good news. Today Google has announced a new Data Studio connector for Search Console. With this launch, users can pull their data into Data Studio to build reports that include impressions, clicks, and average position broken out by keyword, date, country, and device. Hello data studio, goodbye spreadsheets! 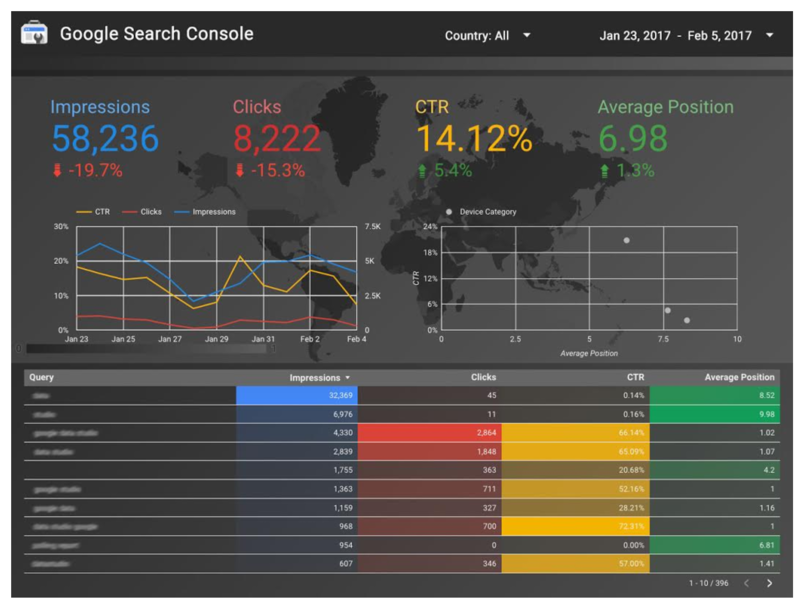 Search Console users can now build Data Studio reports understanding how their search traffic changes over time, where traffic is coming from, and what search queries are most likely to drive traffic to their sites. Users can also filter reports for mobile traffic to improve mobile targeting, and to analyse click-through rates for various organic search terms. For in-house and agency based SEOs this feature will be greeted with open arms. Besides simplifying reporting, giving SEOs the ability to display data easily for clients and management to understand will change the way many businesses view SEO. Protip! 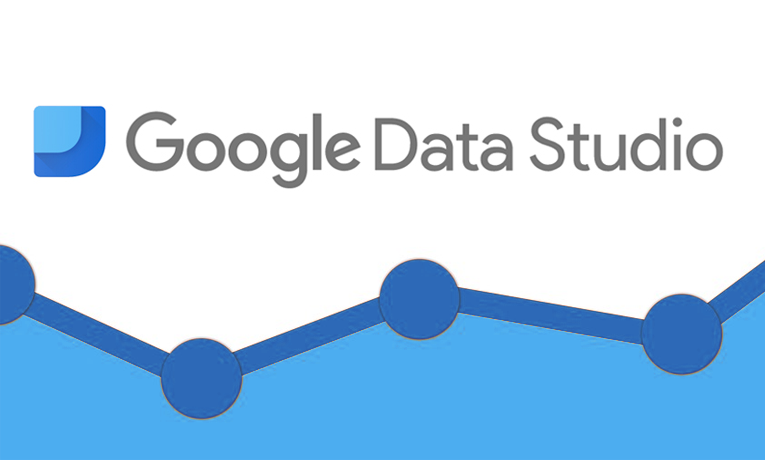 Google Data Studio is currently not available for South African users and beta access will be granted on an invite-only basis. I recommend signing up as soon as possible to be notified immediately of its release in SA.